Does it cost more to maintain a hybrid car than a conventional gasoline- fueled car? The answer is no - unless it breaks down, of course. 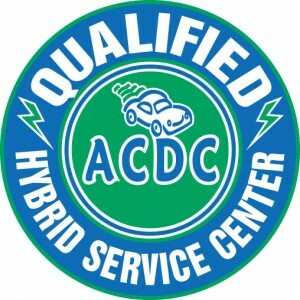 Normally, routine maintenance and minor repairs are no higher on a hybrid than on a regular car. In fact, they may actually be lower. But if something goes wrong with the car's hybrid system after its warranty has expired, you could be shelling out big bucks. Because hybrids cost more up front than standard cars of similar size, buyers debate whether the higher gas mileage really saves people money. The answer depends on such factors as the price of gas, how much you drive and how long you keep the car. Maintenance costs shouldn't usually be much of a factor in the financial calculations. The gasoline engine on a hybrid requires the same maintenance as that on any car. In the early days of hybrids, many repair shops were hesitant to work on them, so drivers found themselves having to go to dealerships - which are sometimes more expensive. Today, more mechanics are trained and willing to work on hybrids. Routine maintenance costs on a hybrid may be lower than on a regular car. The gas engine shuts down when the car is idling and at other times, such as driving at low speeds when the electric motor takes over. That means there's less wear and tear on the engine. On smaller hybrids, especially, oil changes are recommended at 5,000 miles (8,046 kilometers) rather than the 3,000 miles (4,828 kilometers) that mechanics recommend for many similar cars. The hybrid's regenerative braking system and the lower heat involved means that brake pads and brakes tend to last much longer. 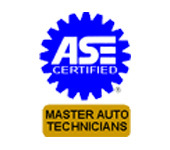 With most hybrid cars, no special regular maintenance is needed on the hybrid system. One exception is the Ford Escape hybrid: The air filter on its electric battery system should be replaced every 40,000 to 50,000 miles (64,373 to 80,437 kilometers). There is, however, always the possibility that some part of the special hybrid system, most often the large battery pack, will fail. Hybrids sold today usually have warranties on the hybrid system that are good for eight years/100,000 miles (160,934 kilometers) or 10 years/150,000 miles (241,402 kilometers). But if you're unlucky and your car's hybrid battery dies after you've passed those milestones, the costs can be staggering. The good news is that most manufacturers have reduced the price of a replacement hybrid battery. In the early days of hybrids, the batteries could cost as much as $8,000. Today, expect to pay $2,500 to $3800.00 depending on the vehicle. by Linda C. Brinson - Are hybrid car maintenance costs higher?